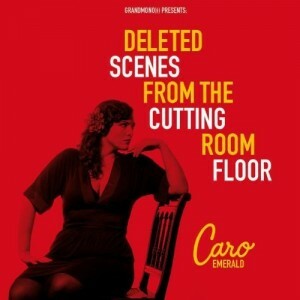 A friend of the site’s put us on to smokey Dutch songstress Caro Emerald a couple of months back. Sublime and effortlessly cool, the singer’s debut single ‘Back It Up’ (below) is a reggae-infused pop number that’s torn somewhere between the ’40s and the 2010s. Now after seducing Europe with her tunes, collecting top tens and platinum accreditations along the way, Australia is about to get it’s first taste of Caro, with her single ‘Back It Up’ being released locally on Friday March 25. Of course, there’s plenty more to come too, with the full length release entitled ‘Deleted Scenes From The Cutting Room Floor’ due for release here next month. Created after a massive surge of interest and support of Caro’s debut single, the LP has achieved phenomenal success in her homeland, clocking up close to a quarter of a million sales. It’s slowly started seducing the rest of Europe too and will get an Australian release on Friday April 29. Very happy that this album is gonna get a local release! Have been very curious for quite a few months now to hear the entire album.